What is the purpose of the Multi Message Signs? 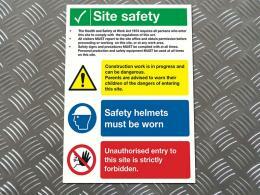 These vivid and clear signs are perfect for ensuring the safety of all visitors and workers at construction sites. They are simple, straightforward and easy to read so that you can place these at various important points at a worksite to warn and inform all those who are passing or entering of the rules of the location and what is required for following them. 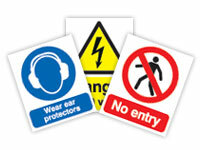 The Multi Message Signs have been specifically created for use in construction areas. Any worksite that has building or demolition going on, or there is a possibility of coming into contact with hazardous materials or falling debris will find these useful as well as work areas that have a need to remind people of certain health and safety rules of that location. It can be posted on fences, walls, posts and anywhere that will allow the most visibility. Construction workers and site foremen will most likely be the ones who will tack these up for their area. 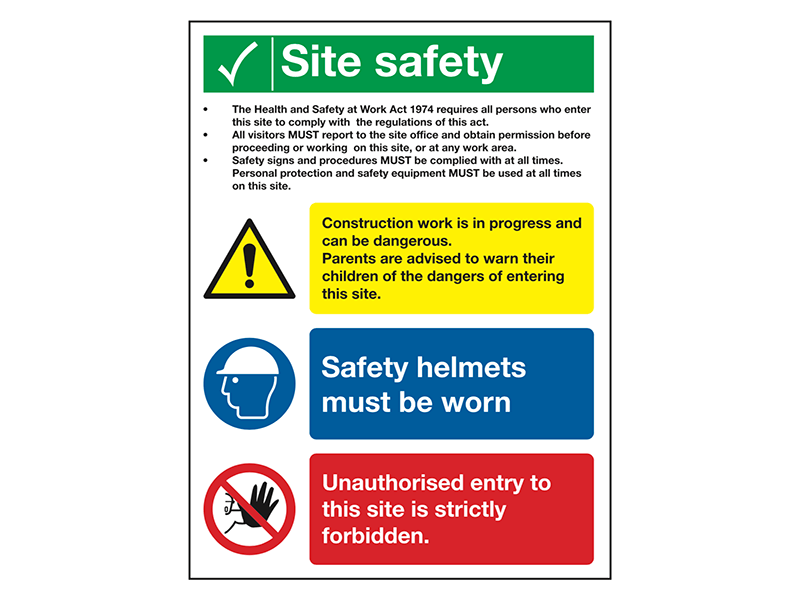 If the job location has a designated safety officer, that person in charge will ensure that these Multi Message Signs are clearly displayed to support a safe work environment. Made locally in Britain, construction based signs come in 2 different thicknesses and materials. There are a variety of Multi Message Signs configurations from which to choose, one of which specifically targets information to parents to protect their children in the area. The prices reflect a savings should you buy in bulk, which can come in handy should you have a large site or several areas that need to be managed. It is standard to receive free delivery and a 1-year warranty on the Multi Message Signs, which will be delivered to whatever location you choose within 2-3 working days. Should you need to return or exchange a sign, we are happy to do so quickly and efficiently. We are also confident that the price we offer is the lowest around; however, if you find one that is lower, we will happily meet it to ensure your satisfaction. We know these tools of the construction trade will make your site a safer place and provide the kind of comfort you seek when making sure you’ve adhered to all safety precautions for all those who enter.